A dining out of your house during Chinese New Year usually associated with high budget as almost all the price skyrocketed during this festive session. 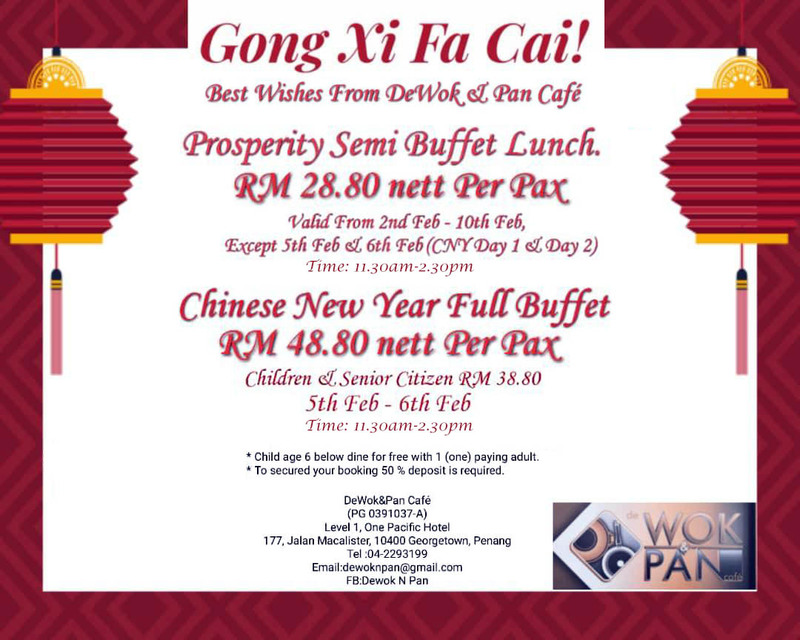 Nevertheless, De Wok & Pan Cafe in One Pacific Hotel & Serviced Apartment along Jalan Macalister has launched a very great deal for you - RM 28.80 per pax for Prosperity Semi Buffet Lunch (2nd Feb to 10th Feb, except 5th and 6th Feb) and RM 48.80 per pax for Chinese New Year Full Buffet (5th to 6th Feb, 11.30am - 2.30pm). That is a real bargain, considering you will have access to variety of dishes that included fish, lambs and even baby abalone for the full buffet! 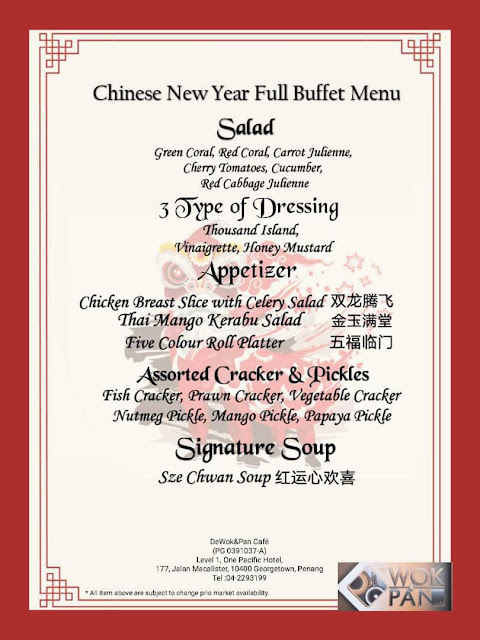 You will have access to a range of delicacy in the Chinese New Year Full Buffet. 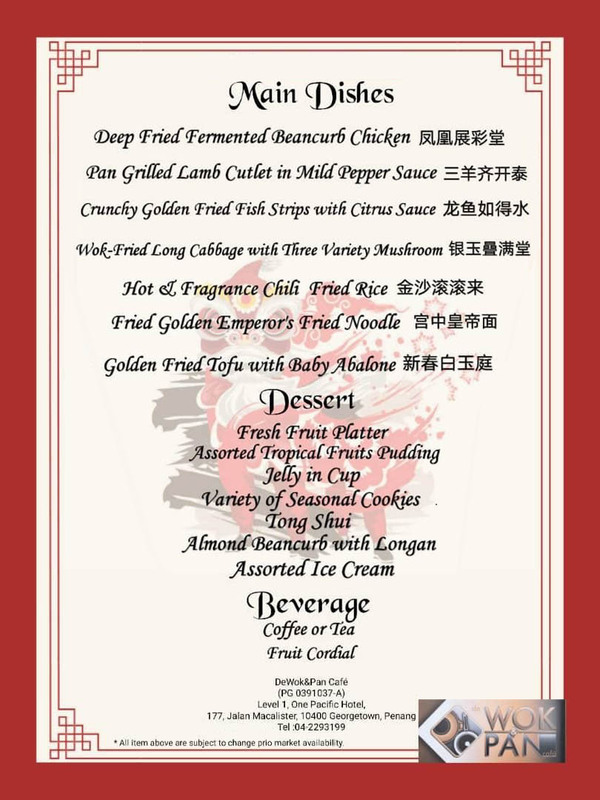 Among the highlights included Deep Fried Fermented Beancurd Chicken, Pan Grilled Lamb Cutlet, Crunchy Golden Fried Fish Strips with Citrus Sauce, Hot & Fragrance Fried Rice, Sze Chwan Soup and many more. 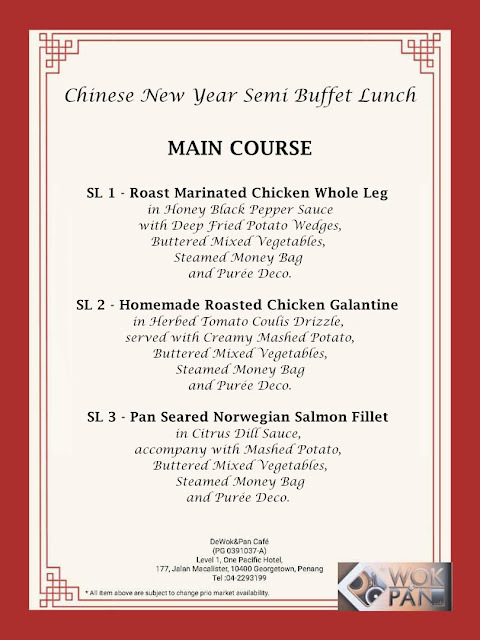 If you prefer something sophisticated without burdening your stomach too much after a food marathon during CNY, then go for the Prosperity Semi Buffet Buffet Lunch, which is running from 2nd Feb to 10th Feb except on 5th and 6th Feb, 11.30am - 2.30pm. 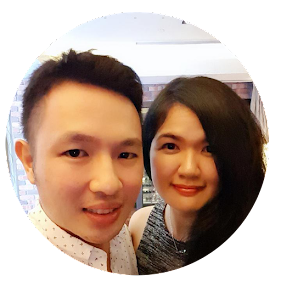 It is only RM 28.80 per pax! You can select a main course out of 3 options - Pan Seared Norwegian Salmon Buffet, Homemade Roasted Chicken Galantine or Roast Marinated Chicken Whole Leg, while enjoying the buffet spread which included fried dish of the day, dessert of the day, ice cream, coffe or tea, soup of the day and salad bar. The Pan Seared Norwegian Salmon Fillet is drizzled with citrus dill sauce, and served along with mashed potatoes, buttered mixed vegetables, steamed money bag and puree deco. 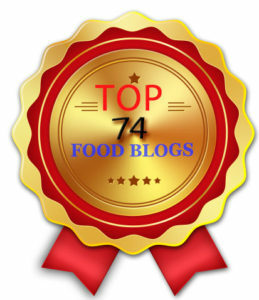 This dish is one of the favourite of many bloggers whom attended the review night. Nevertheless, we enjoyed their Homemade Roasted Chicken Galantine, as the herb tomato coulis drizzle gave a sweet and zest to the chicken. For a more stomach filling dish, you may go for the roasted marinated chicken whole leg.